Indie Retro News: La Carretera - Hit The Road with a Brand New C64 Adventure Game! 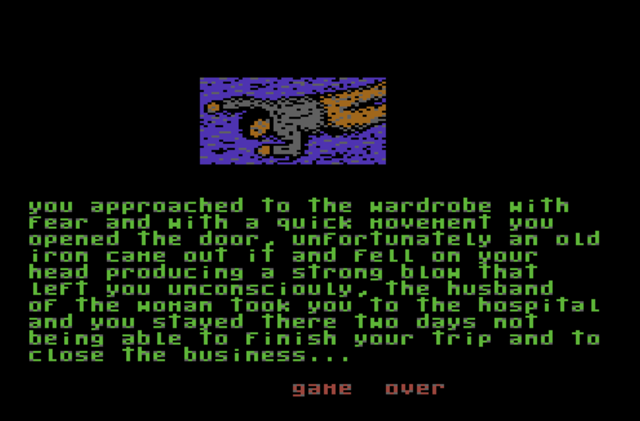 La Carretera - Hit The Road with a Brand New C64 Adventure Game! 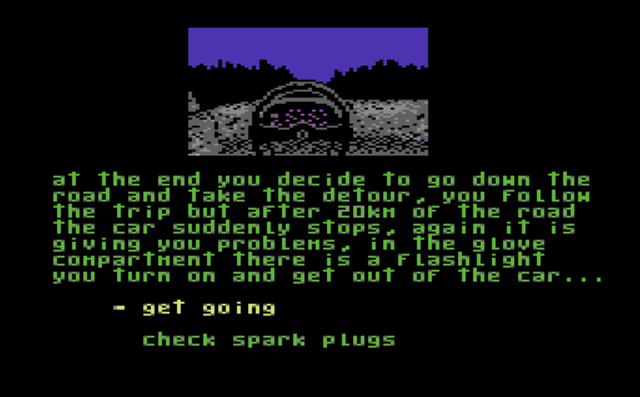 La Carretera (The Road) is a brand new text adventure game for C64. The original version was Spanish only, developed by Rulas International under the Sputnik World label and the hacker group Excess have provided an English version opening it up to a wider audience. This is a short, but fun adventure game, where the usual system of typing commands to move and examining rooms has been replaced by simply choosing from a few options given at the end of each section. The development of the game has an interesting story also, the final version of the game's source code was lost, and a previous build had to be decompiled and hacked in order to reach this released version. However, it seems to play pretty well, although the developer feels the game's problems are part of a curse on the game itself, and so issues a warning that you play this at your own risk! I'd recommend this one for fans of text adventures, and especially to those who liked the old Fighting Fantasy or "Choose your own Adventure" books from their childhood. You'll be hooked!